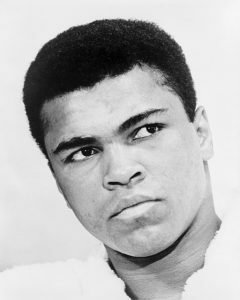 It was Muhammad Ali that set the trend for black athletes to get their opinion out about active racism in America. He was able to spread the word and make people listen to him even if it meant he had to face professional repercussions. His efforts are spoken of to this day and are a big part of American history when it comes to battling racism and black activism among athletes. In recent times, the topic has taken a new step forward, and numerous athletes are starting to take a look at joining in and making their voices heard. One of the more prominent names that have been making the rounds is Lebron James. He is well-regarded as the best North American athlete on offer right now and is a megastar around the world. His voice is heard, and he took to Twitter as a medium to get his word out. He was backing Stephen Curry from the Golden State Warriors who decided he would not attend the White House celebrations that take place for NBA champions. He felt Trump was not representing the White House as one should when it comes to racism and related topics. Lebron James stepped behind Stephen Curry’s decision and stated he deserved full backing. Black athletes are not as afraid to get their word out because of their robust social media followings. These are professional athletes who have millions upon millions of followers under their belt, and the word spreads like wildfire when they put it out. For example, Lebron James has a Twitter account with over 38.5 million followers at the moment of writing this. It’s a staggering number and one that is growing day by day due to his black activism. Black athletes are willing to put themselves out there to ensure racism is not allowed to flourish in America. One of the biggest reasons black athletes are encouraged to use their voice has to do with their presence as role models and planning lawyers. These are professionals who are looked up to, and their voices are appreciated. This is why the likes of Lebron James, Stephen Curry, and Colin Kaepernick are more than willing to raise their hands as the next wave of black activists in sports. The number is quickly rising as more and more athletes jump in and start to look at establishing themselves.